New ZETLAB Software update (release) dt. May 25, 2018. 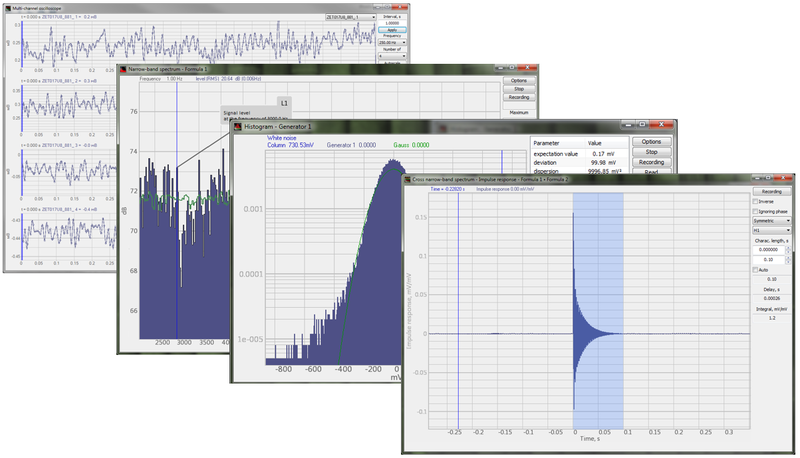 The new version of the program “Cross narrowband spectrum” has a number of additional functions: the section of additional windows now contains the graphs of transient characteristic (calculation of statistical evaluations Hν and Hi in addition to the previously available H1 and H2) and impulse characteristic. Now it is also possible to conduct analysis of resonance between the input impact (input signal) and system response to this impact (output signal) with detailed representation of basic dynamic characteristics of the controlled system. 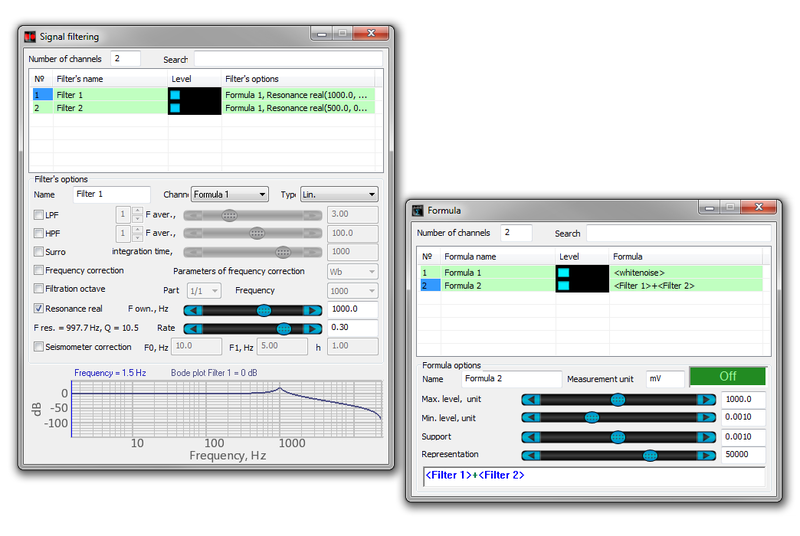 New program version also allows to configure parameters of bandpass and discrete filter and contains new function of multichannel operation mode and optimized modes of basic parameters calculation. The new version of the program Narrowband spectrum now includes multichannel operation mode – the parameters configuration window with a group of elements allowing to set the number of channels used for spectra accumulation and the channel to be used for displaying of the data. 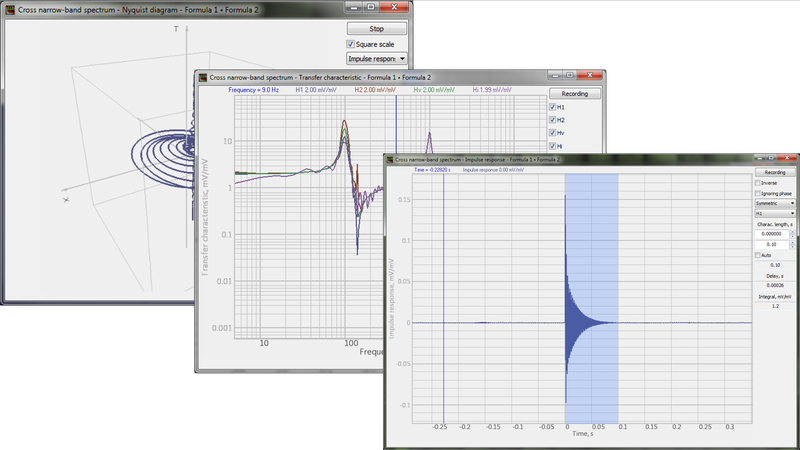 Now it is also possible to implement synchronous calculation for additional graphs of 4 types (by signal values or amplitudes of the channel used for synchronization). 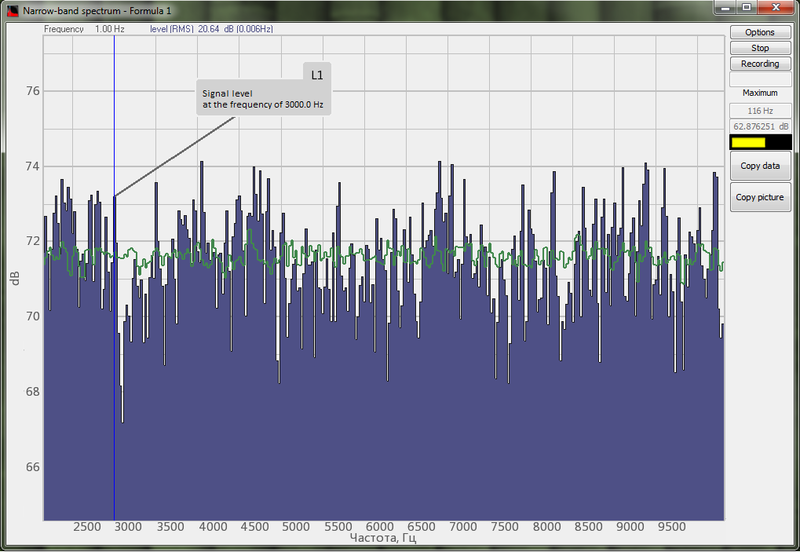 New function: cyclic calculation mode for additional graphs. Now it is possible to use the program “Cross-correlation analysis” for calculation of the correlation ratio as well as for suppression of distortion noise (including the one present in Channel 2). The user can also select the averaging type: linear or exponential, which allows to outline the valuable data of the source signal. It is also possible to use optional time window in the course of the calculation process. The program also allows to select filter length in the course of discrete components removal from the results obtained. From now on, the “Device manager” program is compatible with TEDS technology, which allows to obtain the data directly from technical specifications of the transducers (in the case if the transducers have this function) in automated mode. This technology allows to reduce the necessary number of actions for the operator, to implement automated data control by the channels as well as to considerably reduce the possibility of errors. Now it is possible to control noise signal kurtosis ratio when using the program “Noise generator” in “White noise” and “Bandpass noise”. This function allows to control probability distribution, for instance, in the case of kurtosis increase, the noise signal will increase the number of high-power noise pulses, which allows for a better resemblance of laboratory tests to real conditions. The programs “Formula” and “Signal filtering” allow to create any signals in on-line mode without any devices connected. Joint use of these programs forms a powerful instrument, which is similar to the programming environment MATLAB! The updated version of ZETLAB Software has added new functions for these programs. The “Formula” program now has new functions of signals generation and processing, while the program “Signal filtering” now includes new options in terms of filters configuration. 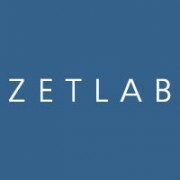 – unification of ZETLAB Software programs color scheme and many other changes!